I am a Feminist In Pieces. With a thousand grains of life scattered over three continents, I have no real home nor a sense of real belonging. The voices around me often say that I am living in three diasporas, breathing-in three cultures, communicating in three distinct idioms. I often feel less like a citizen of the world, and more like a nomad of the imaginary, traversing a terrain and incessant borders that exist only for me. With roots that barely grip the earth I stand on and a voice that seldom resonates with the souls around me, I am a walking contradiction belonging to no particular world, to no particular continental womb. I am a Feminist in pieces. Born of a Black mother miles and miles away. Birthed of a culture that celebrates color, rhythm, and unity, I am weaved into a brilliant quilt of reds, blacks, golds and greens. I have stood with my fist clenched in revolution against police brutality, for “taking back the night” and towards building a stronger nation, but in the end I have always stood alone at the crossroads of this deeply matrixed life and wondered about which one leads home. I am a Feminist in pieces. Fighting for the rights of my Sistas. With a headwrap as my crown and a body studded with symbols of “my history,” I have taken more than one journey towards the light, towards the freedom that my Sistas and I sought in honor of Sojourner Truth, Harriet Tubman, Assata Shakur and Angela Davis. Still tied to my mother’s umbilical cord, I walked tall knowing that I was Black, African, Beautiful, and destined to fulfill “the dream.” I walked tall, Black, African, and Beautiful…or did I ? 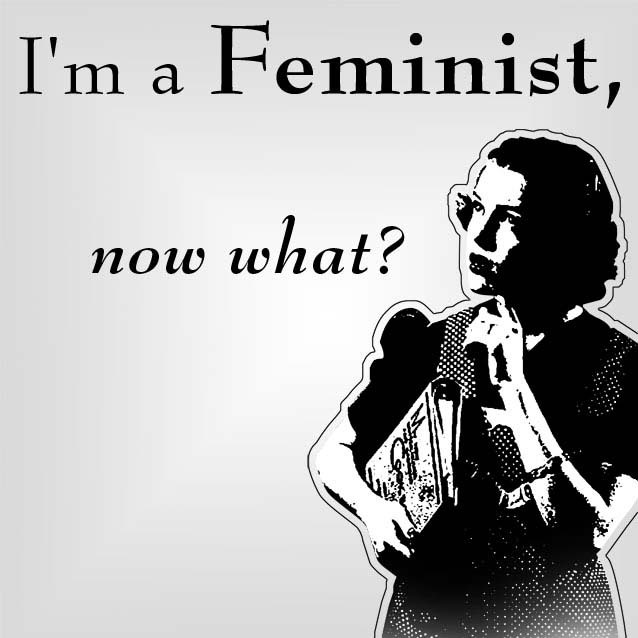 I am a Feminist in pieces. Struggling to hold myself together. Bursting at the seams with Black pride, American patriotism, and an indescribable Indianness, I am a cocktail for which there is no recipe. The voices inside me say that I am less a rooted revolutionary and more the seasonal pollen that floats above the fields. Settling wherever the gentle and furious winds take me, I belong to no one place, no one culture, no one ideology. I am an alien wherever I go simply because the soil that I hover above never takes my roots, never beckons to me, never embraces me. I am a Feminist in pieces. Asking questions for which there are no real answers. Breathing movements of which I am never really a part of because They say that I am seated, by birth, at the top of the social hierarchy. A heathen of sorts because of my Brahminism; an oppressor because I have light skin and Aryan-esque features; and, a perpetrator of violence against the invisible masses because I own much more than a shack situated on the banks of a polluted city. I am a Feminist in pieces. My voice now suffers from spiritual and moral laryngitis, consumed by a guilt that I understand but will not own; bothered by the social infection of poverty and oppression, I have cared for and cared about those who have laid blame squarely on the shoulders of my ancestors and I. My sense of conviction and pride, rickety from accusations, tremulous under the rage of the benighted beasts of My caste-ocracy, and erratic in the presence of contention, are reduced to that guilt I understand but will not own; that guilt I understand but will not wear; that guilt I understand but cannot feel. The Broken People all over the world, in sync with their hatred of everything I embody, rebel against the permanency of their untouchability, reviling everything that reminds them of centuries of collective humiliation, dehumanization and a life entrenched in suffering. But I too have suffered. My gender, My feminine mystique, My voice from the lips that cannot speak, have also been exploited, battered and forced into a deep slumberous silence. So now I often wonder, am I not broken too? I am a Feminist in pieces. Seeking to deconstruct that which I am to re-construct that which I think I should be. Willing to rage against the winds of resistance, I am a Feminist carrying my pieces with heart and passion for a Cause that I cannot even call my own – for a Cause They will not allow to be my own. Caste aside, Raced aside, all this enGendering has collapsed me, unraveled me, crippled me, left me as nebulous as I was before the union of my parents’ spirits. But still I rise, with my pieces in tow because I see why I was made a Woman and why Feminism nourishes me. So I’ll look forward to the day when my Black mother draws me into the strength of her breast; when I am no more just an alien Buffalo Soldier trudging forth past the red rock giants; and, when this country of my skull accepts me as a Woman without deference…and reverence of pativrata. A Feminist in pieces no more will I be, I will have transcended the chaos of three diasporas, three lives, three distinct Women. My holy trinity will meld into one, and I will finally be a Feminist in peace, in one whole piece. The word “Dalit” means Broken People, in the most literal sense. Dr.B.A. Ambedkar, the Indian equivalent of Malcolm X, rejected the oppressive labels, i.e. “untouchables” or “shudras,” given to people of the “lower castes” by Upper Caste hindus. “Dalit” is an empowering word and has led to the resurgence of contemporary Dalit Identity Politics, social justice movements and socio-political leadership. A value concerning morality and the importance of female subordination in a heterosexual marriage. Pativrata, a word which may sound new even to Hindus outside India, Pati means husband and Vrat denotes vow. A woman who staunchly remains loyal to her husband is a Pativrata.